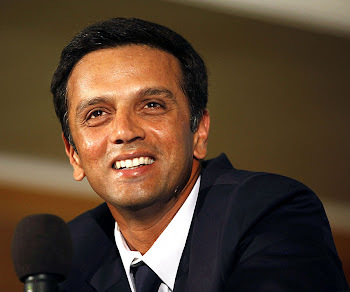 Rahul Dravid: Recent interview at Kolkata: Worth reading! Recent interview at Kolkata: Worth reading! Welcome to Calcutta! What is the first thought that comes to mind when you step into Calcutta? The Eden Gardens and the fantastic people who go there to support cricket. Does it take any prodding for your mind to rewind to the great comeback Test where you and Laxman scripted history? No, not really. It is one of the highlights of my career and one of the greatest Test matches that I have been privileged to be a part of. To be a part of that partnership and to turn around that Test match and series along with Laxman was fantastic… just to watch Laxman at the other end…. What that turnaround meant not only for that series but what was to follow in Indian cricket is something that I am very proud of. How do you look back at those five days 10 years on? Do you remember all the little things? Yes, I remember lots of it… the ups and downs of the whole thing....We had lost badly in Mumbai. We were hammered for the first three days of the match here. We had no hope. There was so much of pressure on us and in a matter of two days we turned it around. What I really remember and what really stands out for me is the crowd. I can almost hear the crowd… hundred thousand people roaring when Harbhajan Singh was taking those wickets in the last session… I think it was just electrifying. To be able to play in front of such a great crowd… the kind of response that you get as a team is something that you play for in sport. It’s something that I can never forget. When I think of it even now, I get goose pimples. Is Eden your favourite ground? Well, it’s been one of my favourite grounds. I have some brilliant memories here. Actually, I got my first first-class hundred here in 1992 against Bengal in a Ranji Trophy game. Apart from that knock, I got a century in each innings here… I have played some great one-day knocks here. When it’s full, it has an atmosphere like no other. It’s always been a pleasure to come to Eden and play here in front of all the people who have responded very well to cricketers and me personally. Do you remember the first time you came to Calcutta and played at the Eden? Clearly. I was here for an Under-15 national camp as a 14-year-old boy and lived in a small hotel on Chowringhee. I was in the eighth standard. I remember it was May and it was very hot....We were here for a month. That was the time when a part of the stands had got burnt. The plastic sheet on the roof had caught fire. It was great fun to be able to practice at the Eden Gardens every day. I had grown up hearing about the history of the ground. When I was coming here my father told me you are going to be playing at one of the best grounds in the world. It is the ground where one of my heroes, Gundappa Vishwanath, made his first Test hundred. Talking about Calcutta, do you and Sourav Ganguly keep in touch these days? Yes we do… we do a little bit. How would you define Sourav the batsman and Sourav the skipper? He is a great batsman and his record speaks for itself. I don’t have to define him. He has a great Test and ODI record. Yes, I had but I didn’t know it would become a tag. I was actually so impressed by his off-side play in the early days. It was absurd to watch him play on the off side. But to be fair to Sourav, he improved the other aspects of his game. That’s why he went on to play for so long. He was a good captain. He was very passionate about wanting to win the game and do well and wanting to build a good cricket team. And the team responded well to that. I think Sourav will be the first one to recognise that he had a good group of senior players who would help him along. We had a good group which worked together and took Indian cricket forward. How different was it to come to Calcutta as the Bangalore skipper/player and play against Sourav’s KKR? I don’t think it was different. While representing Karnataka, I had played against Sourav. At the end of the day, you know that the crowd will root for the home team. The same crowd that cheers for you when you are playing for India can cheer for the other team when you are playing in the IPL. It happens everywhere. How is it to be in Calcutta on World Cup-eve? This is always a great city to come back to as it loves sports and players. The people are very warm. Any thoughts on the India-England tie being shifted from the Eden to Bangalore? (Almost apologetically) It’s not a decision that I take…. As a cricket lover, I am saddened. You feel for the Bengali fan and considering what he has contributed to the sport, you empathise with him. But I don’t know the background to this decision. How do you look back at the last World Cup, when you were the captain? What went wrong? We lost a crucial game against Bangladesh early on. The format of the tournament was such that we could not recover from that and were knocked out pretty quickly. If we had the opportunity to play a few more games we would have done better. The side was not as bad as it seemed. I mean, anyone can lose a game. But that was the format. Is this team better balanced than the one in 2007? Without going into comparisons let’s say that this is a great team with good balance and good players. We too had a balanced team... (This time) we are going to need a bit of luck. And if luck is with them when they need it, they can go all the way and that would be great. If you were to pick four semi-finalists, they would be…? I could pick the eight quarter-finalists easily (laughs). Till the last eight it should be easy and the top teams will all be there. In the knockout stage, any one of these teams can win. India and South Africa look like the favourites on paper and current form. Having said that, Pakistan can surprise you. If a Gayle or a Pollard has a big day, West Indies can surprise you too. Sachin is really going to want to make a mark and I think the kind of form he is in, he should. Hashim Amla is in terrific form. Then, Shane Watson if he stays fit. And Muttiah Muralitharan at the end of his career would want to finish on a high… great player, great champ, great guy… I would love to watch him in the World Cup. Your thoughts on this being Sachin’s last World Cup? Well, everything about Sachin has already been said by various cricketers. And I would say the same thing. I think he was been phenomenal, a great cricketer. This is being talked about as the life-or-death test for the 50-over game. Do you think this format has a future or will it be T20 and Tests from now on? I think the format is good. It lets players showcase most skills if not all, like in a Test match. Maybe there is no room for a seven-match bilateral series now because people lose interest when they get too much of the same thing. I think all the three formats of the game can survive if they are scheduled carefully. As a classical Test batsman, what adjustments did you have to make to succeed in ODIs and T20s? I had to improve my range of shots. I grew up in a different era in Bangalore where the coaches asked us to play in a particular way. Our heroes were Vishwanath and Gavaskar. Around 1987-88, the ODIs really took off and adjustments had to be made. But it is important to have a strong base. If you have that you can adapt as the situation demands. If your foundation is strong, you can build on it and this is true for most things in life, not just cricket. It was very important for me, especially since I had been dropped from the ODI team. That was a growing period and learning period for me. You’ve got to keep it happening over a period of time. I realised there would be the odd obstacle, the odd disappointment. Your thoughts on playing for Rajasthan and not Bangalore in the IPL this year? I am happy to be playing for a team that wants me to play for them and is excited to have me. Of course, I will miss playing in front of the people of Bangalore who have showered so much love and affection on me. Looking forward to playing with Shane Warne? Yes, very much. It’s been great competing with him. I have had some fantastic battles with him. And we have always got along quite well off the field. Looking forward to it… will be great fun. What keeps you busy during a break from cricket? Enjoying the company of my family, I guess. Will this be your first public debate? Were you into debating as a student? Every time I heard the word debate, I used to fall sick (laughs). (After a long pause) Sreesanth. At least there would be some entertainment! Absolute pleasure reading this interview. Many thanks for posting it. Dravid - my inspiration and my role model. Will pray for all your success! !